Our review: Aromas of citrus and spice are exhibited by this light golden colored wine. The moderately tart fruit flavors on the palate tend a bit more toward tree fruit (think green apple) though definitely have some citric character to them. There's also a brief tropical fruitish sweetness about mid-palate. The finish adds some chalky minerality. Our rating: Years ago, long before we started this review blog, we purchased this label frequently as an inexpensive wine that was versatile enough to accompany a wide variety of dishes. It then shot up in price -- the 2006 vintage was priced at $9 when we reviewed it in 2007 -- and we stopped buying it on a regular basis. 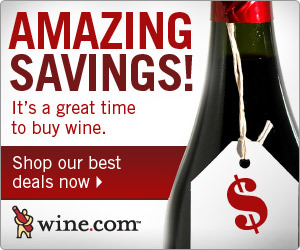 By last year, when we reviewed the 2008 vintage, it was back down to $6, which we thought a good value. We're slightly less enthusiastic about this vintage, which comes across as somewhat muddled and not well-crafted. It retains its versatility -- we served our bottle with an Asian-inspired pork dish -- but it seems so generic. We rate it about Average overall. 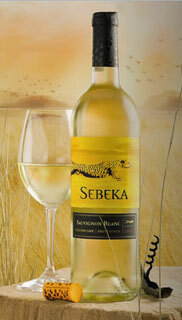 Winery website: Sebeka Wines. As of the date of this review, this website hasn't been updated in years (a bit of a disappointment).